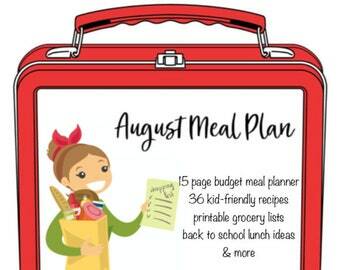 July's 16 Page Meal Planner is revamped and now includes even more. 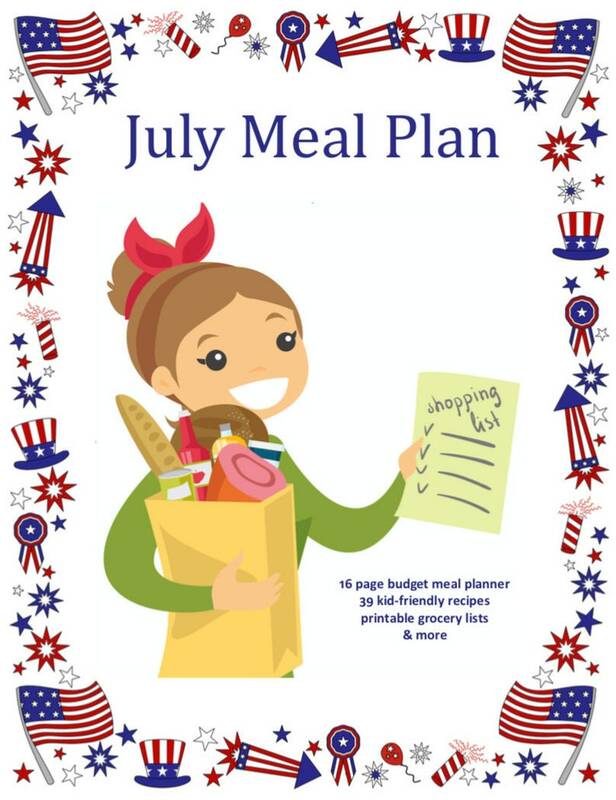 Get a monthly and weekly breakfast, lunch and dinner menu that includes 5 weeks of meals, 39 recipes, printable lists, planning ahead tips, leftover suggestions and tips, kitchen staples list, a special 4th of July menu and more. I’ve done the planning, all you need to do is download, print and shop. 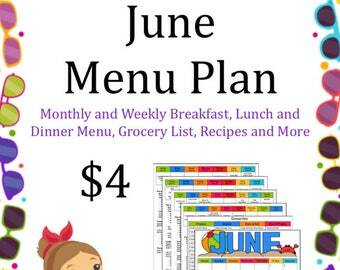 I have only spent $320 planning July’s budget meal plan! That’s only about on average, $8 per meal or $60 a week to feed a family of 4. 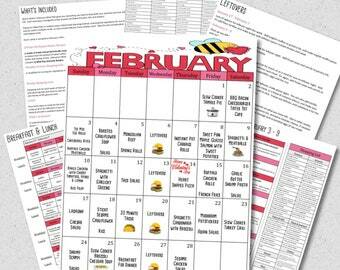 July's Meal Plan includes 4 BONUS days of recipes! 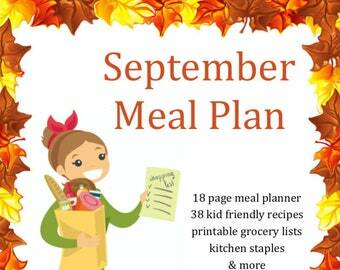 Always know whats for dinner with July's menu plan. This kid-friendly menu is all ready for you. All you have to do is download, print and shop! 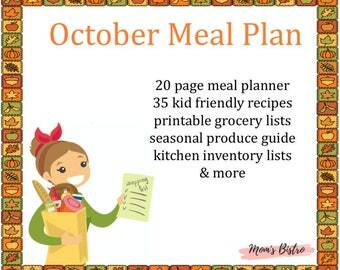 Menu's are proven to save you time AND money in the kitchen by giving you all the tools you need to make dinner! July's menu also includes a breakfast and lunch menu breakdown with 11 exclusive recipes. 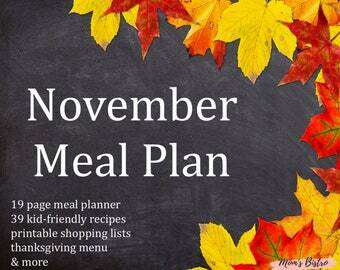 Feeding your family doesn't need to be difficult or expensive. I've done the planning, you do the shopping. July's menu is filled with 39 family favorites and includes 11 new recipes exclusive only on Etsy. The monthly grocery list helps you shop for ingredients in bulk, while the weekly menu breakdown helps you shop for the essentials week to week. However you choose to shop, save even more money at the grocery store by shopping your fridge, pantry and freezer first. Please remember I am human, so if I did forget something, let me know and I will update the listing! 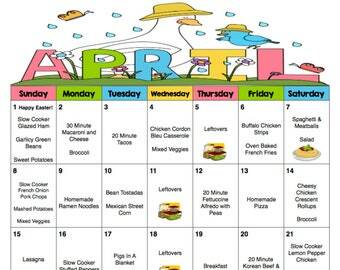 My family has loved this meal plan!! My husband has never complimented so many meals before!! Thank you for making my life easier and keeping my family well fed! We have enjoyed all the recipes so far and really enjoy having something different for dinner every night! If you need to return an item, send me an e-mail and let's work it out.